° Complete the Pluralsight tutorial. ° Play Ori and The Blind Forest. 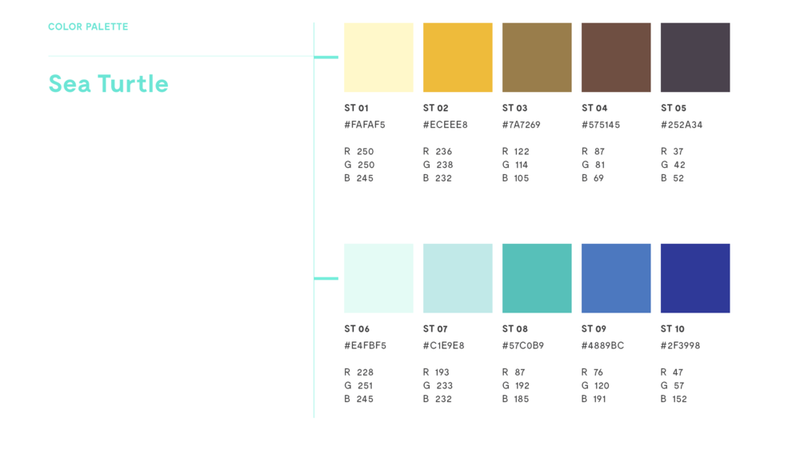 ° Start building out Moodboards/Styleguides. ° Continue solidifying the overall UX/Product plan into a GDD or Scope document. • Sketched Moki in 2D – feels too cute, but will see how he takes shape in 3D form for purposes of the Demo. • Sketched low poly Winterland to go along with Moki and test brand look and feel. • Made Moodboards of the games that are influential in some of my Demo design criteria. • Made Moodboards for the Environment, decided on an island in Thailand as the target atmosphere – coincidentally called Turtle Island in real life. • Finally wrote the Demo Flow out in a production ready manner. • The Production Plan, Asset and Tutorial Trackers are proving to be super useful tools to help keep me on track. • Watched the entire Pluralsight tutorial and brought my Moki’s World blender file into Unity and GearVR for testing purposes! Overall the tutorial was hard to follow along while watching as the Instructor lacked explanations as to why we did most tasks and the version was an older version than I have. Felt, perhaps it’s best suited for an intermediate 3D designer who is learning Blender rather than a beginner learning Blender and 3D like myself. No worries, now that I have gone through the tutorial as an observer, I plan to actually put it to use now! This is a short clip made by Abdelkader Wawi. I immediately contacted him for tips on whether he created and animated this scene in Blender or in Unity, and he said it was in 3ds Max and UE4 but that the look could be achieved in Bender & Unity too! He seems extremely talented and I hope to keep in touch with him. Overall it is the look and feel I am going for – 1 part flat shaded poly and 1 part magic. Aesthetically and architecturally(?) speaking this is a really smart app for Samsung Gear VR. MA will use low polygon, non-textured island-worlds. This is an ipad app by Toca Boca which I love and has inspired me to want to shape the world(s) in Moki’s Adventures. MA will use the tray UI to provide access to “Paint-shape-create” tools and to save items such as food to feed animals. MA will also allow the Player to take photos of the environment or animals they help. Cosmic Paul is a mobile app for kids made by flap. I like the way you need to look for letters and explore. They have a nice “Glitter” clue when zoomed out all the way. MA will use some kind of particle-like or glitterati-like treatment around key props or tokens to encourage the player’s exploration and or guide them to where I want them to go. I finally got around to trying Ori and The Blind Forest. It really has a touching intro movie, and much like MA, there is a tragic undertone of conflict – The forest and creatures are dying due to lack of food. For now I haven’t gotten along in the game very much, but aesthetically I absolutely love it. Then it was time to get VRing. To be completely honest, since the beginning of this challenge, I’ve tried to stay clear of the Rift and Vive so that I can focus independently on my vision first. It’s been hard, trust me. When your kids are clocking more hours than you, it‘s not easy to watch them have so much fun! The first game I tried, and have been wanting to for some time was The Climb. I got a gigle out of the fact that the option I chose was staged in a bay much like Koh Tao, which you will see below is where I’ve identified as my destination for my Demo. Then I had a funny shock when I tried Farlands, finally, and I saw how it uses Postcards and food trays! I had never seen Farlands before, sorry Bernie, and am not sure how I feel. Either this is a happy parallelism or I should rework my core concept, not sure. I didn’t get further than the moving tutorial in Kittypocalypse, but found their use of teleporting with the game pad to be preferable to moving. I enjoyed Penrose’s The Rose and I, and got validation that it is the moments in time that are so special. I want my Players to just ”be” when they want to be, and take the time they want to just enjoy the moment. I tried a Concept in the Oculus Store called Colosse, which was aesthetically very favorable for mobile. I liked the way they minimized on polygons! The art and designs were also refreshing. All skyline moodboard images above were created by the incredibly talented folks at Framestore. While being inspired by their imaginative visual effects work, I found this award-winning example from their VR Studio work for GE called The Nature of Industry. It’s a great example of a short illustrative but informative piece on Nature – in low poly! You can view this on cardboard if you have the New York Times’ VR app. My User Experience model is still a work-in-progress, a hybrid between game and story. Much like games like Job Simulator, I want to create a fun environment where Players have the opportunity to explore and interact freely, but like Henry, I want to guide them just enough so that they may discover animals and their stories so that they may learn more about them. Better yet, I’d love it if Players just spent time hanging out with them. I definitely see where AI will be the next killer everything for VR. Right now, the Challenge for the demo is how to capture the big picture Vision while building out something that is maybe a 0.10% reflection of that. So this week has proven to be focused around understanding what part of the environment is designed in Blender versus in Unity. I’m currently evaluating this utility from the Asset Store called Sky Island Generator, but am thoroughly enjoying the ability to sketch in Blender! I tested looking at this file in Unity, was fun to basically stand inside my blender file. This is a Hot Air Balloon I made using Manuel Graphics’ Tutorial. This is a turtle mesh I bought from TurboSquid. Next step is to paint & rig. For now, I plan to just buy some props to buy more time developing the island art in Blender. As a birthday present to our daughter, we took her to Safari West in Sonoma County. I really enjoyed being so close to these majestic and captivating animals, but part of me is always sad to see any wild animal in captivity. In this case, while Safari West is an attraction, I know their heart is absolutely in the right place in terms of conservation and education. The entire tour was an immersive excursion into the animals adaptive nature, research and questions raised about these unbelievably beautiful creatures. I left feeling even more convinced that their stories need to be shared, more accessible and so much more needs to be done. My hope is that VR can be a means to help spread more awareness and education to all – helping us understand them, empathize with them and better appreciate how our behavior impacts them both for better or worse. Ultimately helping to influence and shift our actions to improve this world we know and love. As if this week hasn’t already been a visual feast of inspiration, we wrapped up my daughter’s birthday celebrations with the San Francisco Symphony. I can’t express how incredible it was. The music, the vibrations, the sound effects all create a completely emotional connection to what your eyes see and the comprehension of the storyline. Coincidentally there is a direct correlation with respect to the role of Remy and Moki and their human counterparts. Both stories are built on the theme of trust and the value of collaboration. In both case, there is a magical character with remarkable talents who needs to work together with a human to make wonderful things happen. This is really core to the central theme of Moki’s Adventure and how I hope Players will grow with the experience too. ° Start building the island art and environment for the Turtle Island scene. ° Sketch Moki’s 3D form, and maybe even rig?! ° Start testing how the Player moves and whether there is a need for a controller.